Awesome stories to treat your kindle. 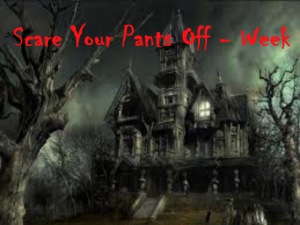 Welcome back for day two of the ‘Scare Your Pants Off’ Week. You can follow these links if you want to read the intro, or read the awesome first day’s post. First up today, is a really thrilling excerpt from Dana Wright’s romantic suspense, Asylum. Rachel moved farther down the hall. The peeling wallpaper and damaged wooden panels made her sad. The crumbled bits of tile and broken glass littering the floor kept her alert to where she placed her feet. It was pulling her and she needed someone to center her. Now. She stopped in front of a surgical suite and paused. “Matt?” “I’m here.” She felt his warmth behind her. “What can I do?” “Don’t let go,” Rachel whispered and slipped her hand in his. This is going to be a fun week! Each post will include a thrilling, dangerous, violent, or scary scene. And there will be prizes! Awaking in the forest, a young maiden recalls naught—including her name. Equally conflicting is her desire to both slap and kiss Sir Galeron, the knight who claims to have protected her while she was unconscious. Much to her chagrin, he dubs her “Ruby of the Forest”, due to her red hair, and insists she find refuge at his home of Ramstone. Prickling at his demanding ways, but with no other option, she accepts his offer. And although his kiss flames her attraction even more, Galeron dashes it with a confession. The brute is trothed to another. Ruby’s journey is filled with laughter and weeping, daydreams and discovered abilities. But never does she feel complete. Her heart longs for a future that her past may destroy. Evil lurks, treading on each tidbit of memory she recovers. Will Ruby ever recall her past? And after an attack in the village that sparks a horrific nightmare, does she even want to? “Ask me anything. Mayhap I can help.” His deep voice broke the silence. “I shall explain.” He bent and picked up a twig, then proceeded to peel the bark off. With each curl he tossed aside, she grew more frustrated. With a slight shrug, she said, “No need for gentleness. You already tossed me about.” She grinned despite the truth in her statement. He pushed off the tree and came to sit beside her, his thigh nearly touching her own. Nearly. It took a moment for her answer. “Nay, I do not recall Ramstone.” The fact she did not recall much of anything choked off the rest of her response. “Odd,” he said, more to himself than her. Sighing, she realized how badly her masquerade of bravery was faltering. Out of the corner of her eye, she saw his hand come toward her. Surprised at the urge to lean into his touch, she remained still and allowed him to brush back the wisps of hair from her brow. His hand lowered in a fist, yet his voice was laced with tenderness. “It pains me that I cannot give you answers.” His gaze strayed from her face, lowering to her neck. Covering the neckline of her tunic with both hands, she glared at him. “Focus elsewhere.” He sees me as a woman after all. She dashed the thought away. Almost. It took all she had not to cry out. Who harmed her? She ran her hands through the leaves and shrugged a silent apology, too stubborn to utter it out loud. Damnation, she hated when he addressed her with those words, and yet it awoke something in her, for he said it with tenderness. She glared at his smiling face. “Why are you calling me that?” To her chagrin, what she’d meant as snide came out as quite curious. Seeming to battle with her revelation, Galeron’s expression flitted from stunned to confused. Then his gaze bore into her with such tenderness it nearly undid her. “Nay memory?” he finally whispered. She shook her head. He guided her head to his shoulder. Barely a moment passed before he released her, rose to his feet, and strode away. Unsure of why he left so abruptly, she frowned when he looked back. She dabbed her impending tears as soon as his back was turned. Holding the tree for support, she stood, waiting for the dizziness to subside before she followed. When he turned, she picked up a branch, embarrassed at how silly she looked traipsing on his heels. Gathering an armload of kindling, she stole glances at him, each time wondering how it would feel to remain in his arms. She piled the branches then watched him arrange them. “Building a fire?” Hark, she was a fool. “Nay, I am building an abode.” And he solidified the fact. “I want my own chamber then.” Several paces away, she sat. Sunlight peeked through the forest canopy. She closed her eyes and raised her face to the warmth. Like a constant itch, she felt his gaze. She slowly peered through her lashes. Aye, he was staring—no—studying her face. Her gash. Her ugly face. She sighed and looked to the sky instead. “Nay.” He jammed the skinned carcasses on a sharpened branch. “I heard your curse. Was it in frustration of not reaching your destination?” Oh, how she wished to smirk at his rudeness, but she kept her poise. Wrapping her arms around her legs, she rested her unscathed cheek on her knees. “Curses are naught. I am simply thankful you helped me, Sir Galeron.” Apparently he was too kind to mention her affliction. She hated the pity. Seemingly distracted, he arranged kindling then retrieved a piece of hammered steel and flint from a pouch on his belt. “Ha!” She rose and strode to the fire. Her gaze flitted over his body. He looked up, catching her stare, and alas, stared back. Heat crept up her neck, spreading to her face. Surely, ’twas the fire’s heat causing her flush—she hoped he believed the same lie. Galeron grinned. His demeanor was infuriating. And endearing. And more confusing than her loss of memory. “Sit.” He continued to tend the fire. She paid no heed to his demand, and thrust her hands toward the fire. To her dismay, the sharp smell of the rabbit caused her stomach to roar with hunger. “Apparently.” She plunked down on a fallen log, certain her face turned countless shades of crimson. Taking a seat beside her, Galeron chuckled and poked at the fire. He was so close she could smell the woodsy scent on his skin. She inhaled deeper, tucking the fragrance into her mind to savor when she was left to her own. With a quick wink, he leaned back and rummaged in his saddle pack. Taking her hand, he placed an apple in it, keeping one for himself. His smile highlighted the dimple in his chin and she found herself offering a genuine smile in return. Oh, but she did know one thing that might. Tasting the nectar on his lips would certainly qualify. She sensed his tension when she took a bite. Mayhap he had the same thought? He grunted and crunched into the apple, mumbling something about a damn green-eyed mystery. Were her eyes green? Damnation. Her mind was truly addled. J.M. Powers harbors an alter ego of a normal woman named Jeannie. (Her editor is still on the fence about the whole ‘normal’ thing.) Jeannie’s proficient at research, gluten-free cooking, and embarrassing her teenagers by wearing skinny jeans to the grocery store. 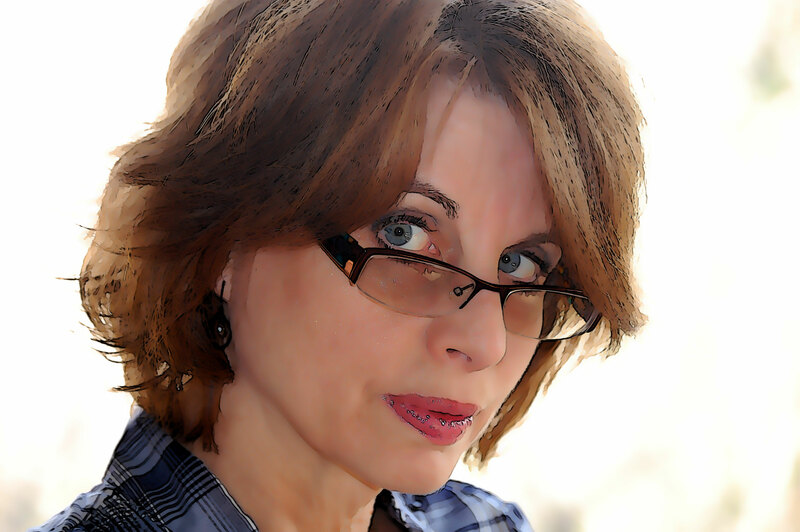 J.M., the author-ego, plunges so deep into her writing; she forgets life outside her creations still goes on. More often than not, J.M. answers with a glassy stare when her family asks what’s for dinner. Despite the craziness between reality and the world of writing, life falls together without broken bones or hearts. Spank or Treat Book Giveaway Event on October 24th! Many thanks to Cree Walker for being a donor of a book bundle for Spank or Treat 2014! Fourteen authors of lesbian fiction contributed otherworldly, thrilling and supernatural short stories that will keep you glued to your seat. The ghost hunters of SpiritQuest, LLC are preparing for a visit to the historic Halstead House, where the ghost of 26-year-old Lily Halstead reportedly appears. The crew discovers that Lily left behind a female lover and a bit of a love story, which adds to the mystique of this paranormal case. Is Lily waiting for her lost love? The chance to perhaps find out, plus the mysterious Sky Adams, who volunteers to accompany them to the Halstead House, promises to give the intrepid ghost hunters a Halloween to remember. A woman on a camping trip believes she’s dreaming about her ex-lover visiting her on Halloween night…but it’s no dream. And while her love may become rekindled, her lover isn’t exactly how she remembers her. Taylor’s ordered, boring world is turned upside down when she impulsively steals a jacket. It’s magic, and now she can’t take it off. Suddenly, she’s taking crazy chances with her future—risks that put her center stage at a première Hollywood Halloween party and into the arms of its lovely hostess. Is it a dream come true, or is Taylor losing herself to the magic? At her best friend’s Halloween party, Erin meets Raymond and finds him strangely attractive. Strangely, because she’s a lesbian and men haven’t been on her radar for some time. But Raymond is not quite the man his costume might suggest. First dates are nerve-racking under the best of circumstances. Ann really likes Erica but is convinced it can’t work out. It never has before. She pleads with her furry companions to behave. Will they? If Ann reveals her secret, can Erica handle it? When cop Allie gets home late from the night shift, she finds her girlfriend, Violet, home early and annoyed. The couple’s squabble turns into an interesting and feisty argument, as Allie—a vampire—must convince Violet—a human—that she has not done anything she shouldn’t while on shift. Allie thinks back on her busy night, which involved a crash, a robbery, and her feeding on fresh blood and must decide what details to reveal and what to keep hidden for later. Gem has carried a torch for the way-out-of-her-league Kate since they were in high school together. When she flees a party after fearing her unrequited love has been exposed, she meets a mysterious woman who gives her a whole new perspective on the situation. Heading home from a crazy Hallow’s Eve shift at the local bar, Rebecca Linder finds herself face-to-face with a ghost story come to life. Things are not always what they appear, however, and sometimes the worst moments in a life can lead to some of the best. Angela White is your average Texan living in a rural community. In great detail she describes the infamous Halloween day when she took a trip into town and met with fate in the form of a hitchhiker, who happens to be a werewolf hunter. Maxie Douglas’s husband, Zachary, was mowed down by a hit-and-run driver five years ago on Halloween. Far from grieving, Maxie is eternally thankful to the driver for saving her from the monster Zachary had become. She longs to meet her hero or heroine, but there is much she doesn’t know. In the town of Benevento, Italy, the ancient art of witchcraft was accepted and honored, unlike the rest of the deeply Catholic country, where witches were considered the devil’s minions. Raffaella, escaping an abusive marriage, stumbles upon a witches’ Sabbath near Benevento. Despite her fear, she is drawn to Serafina, a woman participating in the ritual. Serafina shows her compassion and respect and offers her shelter, which Raffaella gladly accepts, and as the days pass, something more blossoms between them as Raffaella learns the healing arts and with the magical powers of il noce, the sacred walnut tree, discovers her own special gifts. Epifania Gordy comes home to New Mexico to mourn the death of her lover—or join her. When she uses remembered fragments of an ancient Highland ceremony to summon Sadie, what she conjures isn’t who she expected. In the wake of a tragic accident, a woman suspects that her wife may be haunting the house as a ghost. This beautiful review of PLDG nearly stopped my heart. Author T.O. Munro took the time to write a beautiful review that was exquisitely worded. I couldn’t be more pleased. 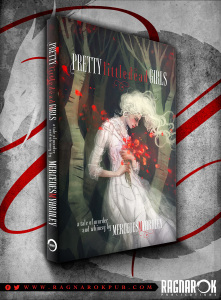 Pretty Little Dead Girls has been out for five days and has received 18 five-star reviews and 1 four-star on Amazon. This makes me so happy and means so much! It means that over a dozen people are now familiar with Bryony and her destiny. Thank you for all of your support and love! I can’t tell you how much I appreciate it. This book is my dream come true.